"Design thinking taps into capacities we all have but that are overlooked by more conventional problem-solving practices"
Whether it be a computer, pair of glasses or a brand new bicycle beach cruiser, there’s an element of design that is tailored. Tailored specifically to fit the functionalities of executing the right amount of technology, aesthetics and practicality that it can deliver. Consumers purchase products based on a series of want and need: what can solve their problems, what they are looking for on a satisfactory basis. 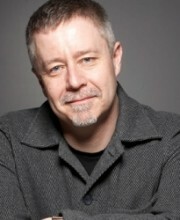 While most of the design technology is done through a specific team full of architects and engineers, author Tim Brown, the CEO and president of IDEO, an idea and consulting firm, has pioneered and tailored his company to provide and practice with his clients which he calls “Design Thinking”. This notion has resulted in challenging companies to consider Design Thinking to help with the development of innovating and solving more problems with the products that the company is looking to create. In conjunction with this approach, the type of people involved has another play. Not limiting one specific department to do all the heavy lifting, Brown emphasizes the importance of opening the floor to include colleagues from different departments who have different skillsets and experience. This approach provides a greater scope and a chance to holistically approach an idea to foster new concepts, opportunities and solutions. While we may not have the luxury of hosting multi-department wide brainstorming sessions, we can utilize this “design thinking” within our own teams. Honouring the different opinions, skillsets and experiences every one of our colleagues can contribute, design thinking can help foster opportunities to fine tune and create new solutions on how to make an organization stronger. "The bewildering variety at work in a healthy ecosystem is nothing but an exercise in sustained experimentation – try something new, and see what sticks"
These rules can be applied to simple team-based problems that managers are looking to resolve immediately. Within a safe environment, taking advantage of everyone’s perspective and experiences can result in a team coming together – addressing and potentially opening up new opportunities that weren’t feasible. "Colonies of bees, ants, and humans must adapt and evolve if they are to be successful"
Consumerism has shifted past being “passive buyers” and whether it’s the organization that provides the product or the buyer who purchases it, it is a cycle that must be nurtured so that organizations can innovate and provide tools that not will only satisfy the needs of a consumer but help them reach more potential. With this type of colonialism, it’s important to see both sides of the coin: what is your team trying to accomplish and what do the people affected by your actions need? Design thinking therefore is not a one-time solution; it’s more a shift in mindset so that when teams start to inspire, create and implement, it adds layers. As these layers get developed new problems, new opportunities and solutions can be added. "Try to be alert to the nodes where it all comes together, because that is where new ideas originate"
Experimenting and shifting a team to embrace this new culture of “design thinking” can be daunting. Experimenting can have an effect that may take an unexpected turn; there’s always the potential that it might fail. However, Brown encourages failure to be a chance to layer on what worked, what didn’t and help steer the ideas towards something greater. Teams have to be optimistic and not fearful of the potential content that will be generated. If optimism isn’t present, it doesn’t encourage people to be open minded and comfortable to explore new ideas. Sometimes the best ideas are the ones that aren’t spoken out loud – how can there be a shift to present a solution, if the environment doesn’t encourage people to take risks, make mistakes and grow from them in a positive way? Leaders therefore should enforce optimism, encouraging the thoughts to not stop and use a failed experiment as an accomplishment instead of viewing it as a negative. Not only does this increase the productivity of generating new ideas but it also brings teams closer together, allowing them to feel comfortable adapting and shifting together.